It looks a little weird, and it's mainly marketed toward the young (or young-at-heart), but Hyundai’s Veloster 3-door compact hatchback gives what's normally considered a blasé market a little pizzazz. For 2016, this 4-seat, pint-size people-hauler is again scheduled to be available in two primary trims: the Base and the up-featured Re:Flex. Both will be offered only with front-wheel-drive (FWD), and there are no plans on the horizon for an all-wheel-drive option. Furthermore, this agile little 3-door also comes in a couple of turbocharged versions, which are covered separately. In any case, the non-turbo Veloster variants get a few minor tweaks to the hood and grille for 2016, including the deletion of non-functional hood vents. Also new are redesigned 17-inch alloy wheels, wider all-season tires, enhanced infotainment technology, and some upgrades to upholstery choices. Power for the 2016 Veloster lineup again comes from a 1.6-liter inline 4-cylinder (I4) engine, with a 6-speed manual transmission returning as standard equipment in the Base iteration. Look for 138 hp and 123 lb-ft of torque from the manual-transmission-toting versions, while a DCT (dual-clutch transmission) 6-speed automatic (optional in the Base and standard in the RE:FLEX) tweaks this same I4 powerplant to the tune of 132 hp and 120 lb-ft of torque. While you lose a little oomph with the DCT, you gain a little efficiency; mileage is expected to return at 26 mpg city/35 highway/30 combined in stick-shift versions but 27/36/30 in automatic-equipped iterations. The Base trim, when equipped with the shiftable automatic gearbox, is classified as the Veloster DCT trim. Returning appearance features and creature comforts in the 2016 Veloster Base should include the abovementioned reworked 17-inch alloy wheels, heated power-adjustable outside windows, cloth upholstery, full power accessories, cruise control, and telescoping tilt-wheel steering. Also returning are traditional standard perks like air conditioning and a rear-view camera, plus a single-CD player with 6 speakers, satellite radio, and Pandora radio. Expect the Re:Flex to add standard 18-inch alloy wheels, leather upholstery, upgraded exterior and interior trim accents, the upgraded-for-2016 Bluetooth-interfaced Blue Link infotainment system, and an 8-speaker premium audio system to the list. Options-wise, the Base should remain eligible for a number of features standard in the Re:Flex, while both trims can be gussied up with the optional Technology package, which boasts rear parking sensors, keyless entry and ignition, dual-zone automatic climate control, and a GPS navigation system with a 7-inch display. Further available bling for both 2016 Veloster editions includes a remote garage door opener and a power sunroof. Finally, standard safety features in the 2016 Veloster lineup are expected to include 4-wheel antilock brakes, traction and stability control, front side-mounted airbags, front and rear head airbags, daytime running lights, and a remote antitheft alarm. The Blue Link infotainment system that’s standard in the Re:Flex and available to the Base also includes emergency telematics, while front fog/driving lights will remain standard in the Re:Flex and optional in Base Velosters. 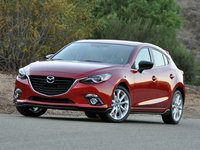 The National Highway Transportation Safety Administration (NHTSA) gives the 2015 Veloster 5 stars for overall safety, while the Insurance Institute for Highway Safety rates this pint-size hatchback a bit lower, citing Marginal front crash-worthiness and merely Acceptable side-impact results. 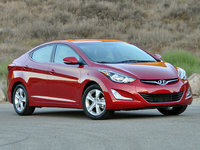 Look for the 2016 Veloster to start appearing in dealer showrooms in May of 2015, and to once again battle such rivals as Ford’s popular Fiesta, the heady Mazda3, Volkswagen’s classy Golf, and Kia’s capable Forte Koup. Should you be car shopping in the near future, be advised that all but the Veloster and the Forte Koup are available as 5-door hatchbacks. 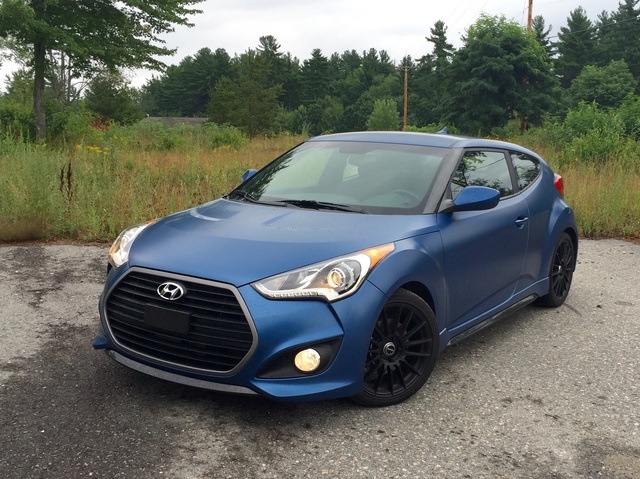 What's your take on the 2016 Hyundai Veloster? Fallen I bought a 2016 Veloster 3 weeks ago and was very surprised how it held up in a jead on collision. We have a lot of stiffness and bruises but basically ok. I would definitely purchase another. 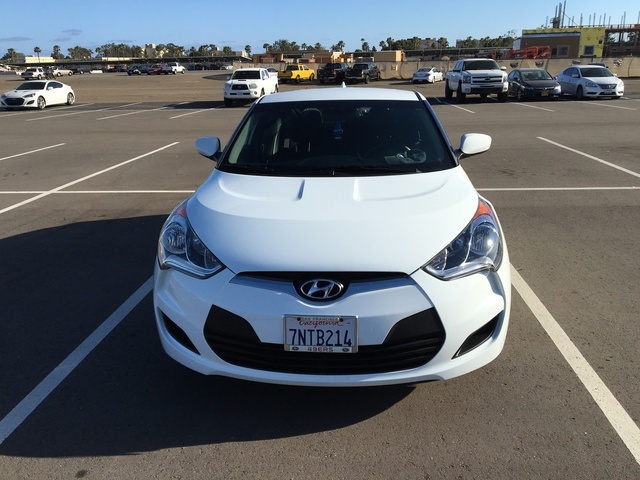 Have you driven a 2016 Hyundai Veloster?